Unit18 Automotive has been working with Racingline Performance to install OEM+ ECU Software, we use Racingline as we believe they are one the best in their field. What is OEM+ ECU Software? Unit18 Automotive carries out OEM+ software changes to enhance the performance of your Volkswagen Group vehicle. It is one of the single most effective modifications you can make to your vehicle; each software upgrade is of the highest quality. OEM+ is offered in multiple stages with each stage strengthening the power outputs over the last. You pay a one-off fee for the software updates, and all additional upgrades are free as long as you own the vehicle. 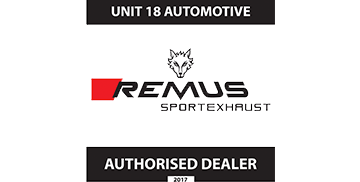 If you are interested in OEM+ ECU Software feel free to get in touch with a member of our Unit18 Automotive team for more information. We work to ensure your vehicle meets its factory safety level with any modification changes. With any modifications made to your vehicle, the best part is your vehicle economy is still good. You will also have the choice to change your car back to ‘True Stock’ settings which will remove all OEM+ software and take it back to exact state before it had been installed. Completed on a car that has no other modifications. delivers higher power during this stage you will also require a high flow intake which means a high flow catalyst must be fitted. Requires further modifications including an uprated turbocharger and other additional parts. "I recently had OEM+ installed on my car, and I can’t explain how impressed I am. Not only with the changes to my vehicle performance but also how Unit18 Automotive took the time to explain all the benefits of OEM+ and how it would affect my car."